The EMIRA routes began in 1969 when the founder, Mr Michael, studied ceramics art in Famagusta. In 1975 due to the Turkish invasion in Cyprus, the artist emigrated to Athens where he continued his studies in ceramics art. Following this he opened his own pottery workshop there. 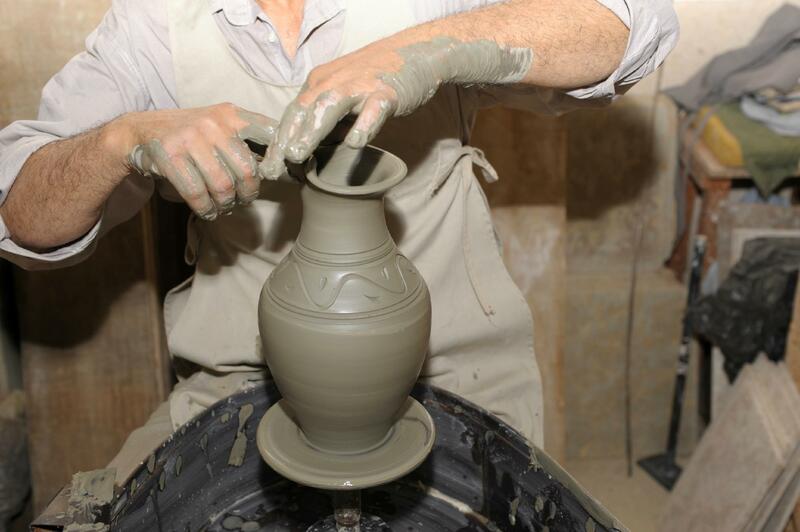 In 1987 he returned to Cyprus and established Emira Pottery at 13 Mehmet Ali Str. near St. Lazarus church, as it is today. The beauty of ceramics inspired him to expand his horizons and open a showroom with his creations. Our workshop is open to the public and visitors will have the opportunity to watch the artists creating, but they will also be challenged to try the magic of clay. For the best please book your appointment in advance. Workshop Working Hours: Monday to Friday: 08:00 – 16:30. But is open to have a look until 21:00 and Saturday 09:00 – 15:00. Our workshop creates unique cypriot ceramics for various uses as well as for decorative purposes. Our creations are uniquely our own ideas, inspired from the rich cypriot tradition and the beautiful nature of our island. Be original and offer useful, innovative and beautiful gifts from our wonderful collection. We can materialise any idea you come up with and make your wishes a reality! Decorate and equip your house or cottage with ceramics from EMIRA POTTERY LTD.
We are happy to supply our products to restaurants, gift shops and individuals in Cyprus and abroad. For further information and price enquiries please do not hesitate to contact us.